A canvas, you can choose the size. 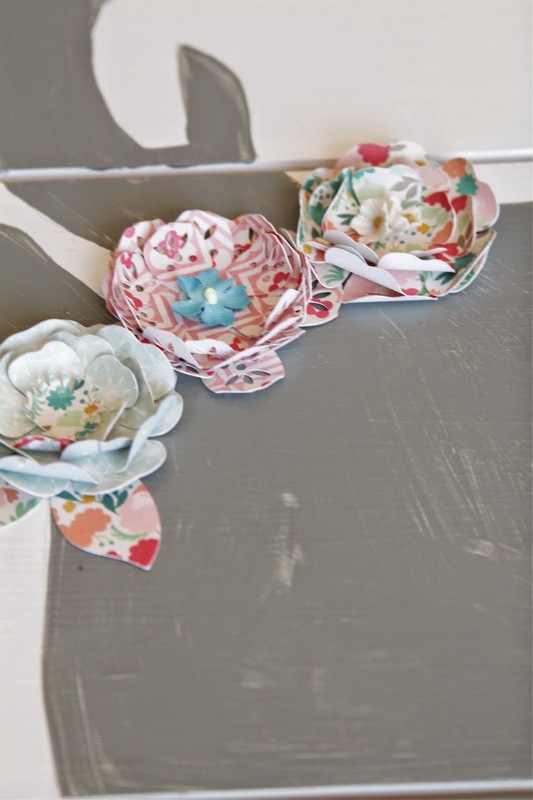 Or I used scrap boards and painted them white, and had my husband attach them together from the back. I painted my boards white, if you are using a canvas, this is not necessary. 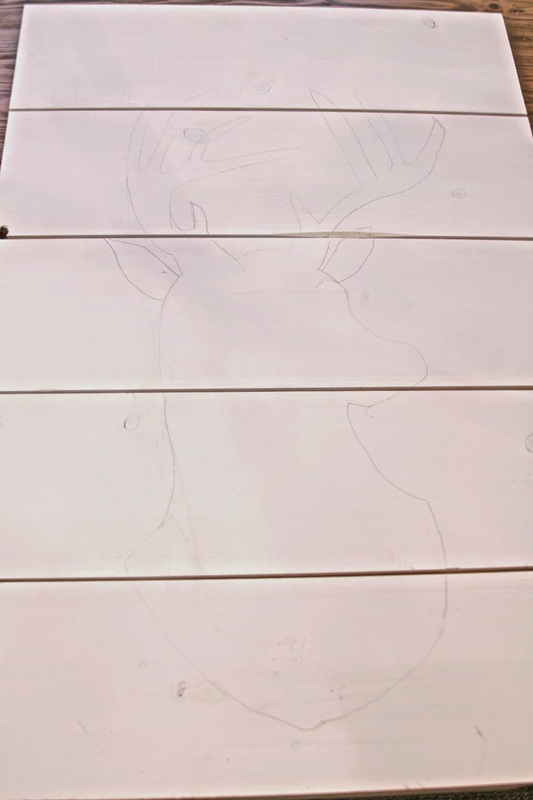 Then I sketched a deer head on the board. I did this free handed, with a pencil and eraser. Feel free to look for a downloadable stencil if you do not feel comfortable just drawing by hand. Silhouette has some great designs to download. 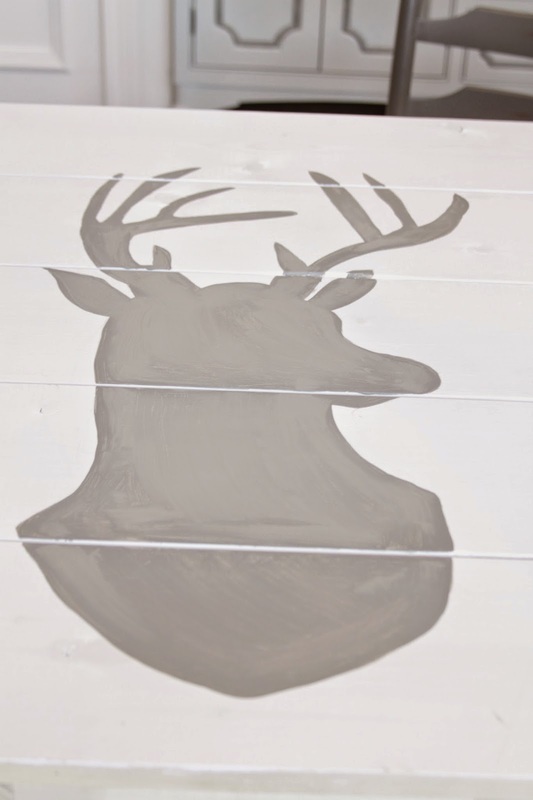 Once I felt like I had all my proportions correct, I then painted my deer gray. 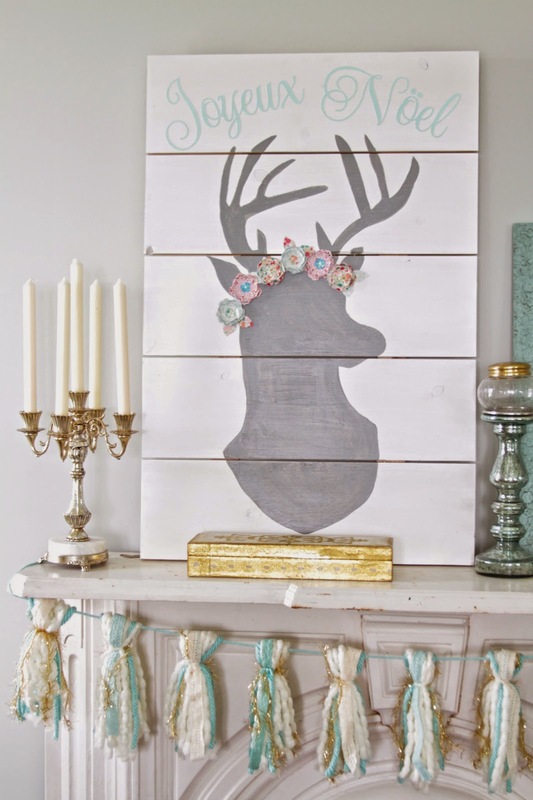 Feel free to paint your deer, whatever color will work with your decor. Next I used my silhouette cameo to cut out the words Joyeux Noel. You can find that design here. 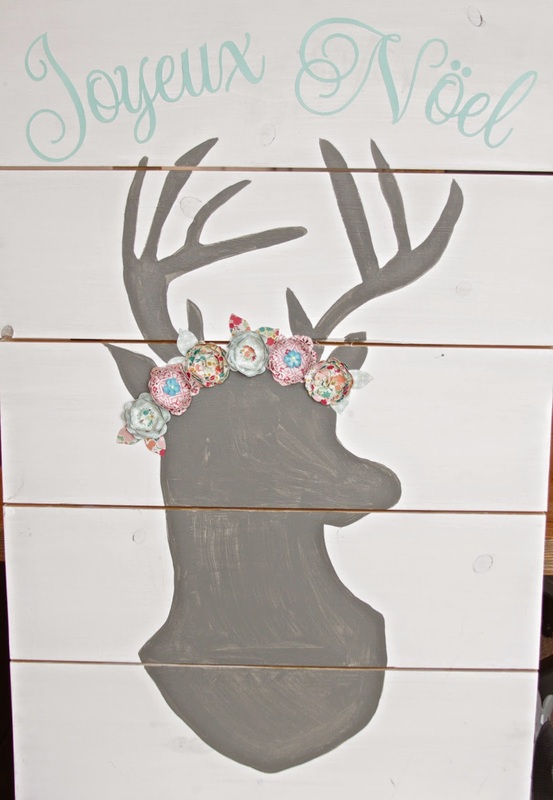 I used double sided tape to assemble the flowers into a crown on the head of the deer. It was really simple to do. And there you have it! My artwork is displayed on a mantel in our master bedroom. I really love the whimsy it adds. Hope you feel inspired to make one for yourself. Happy Holidays, see you back here soon.